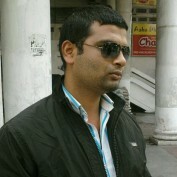 I am Alok Kumar Sharma an SEO (Search Engine Optimization). I have been in this industry from more than 5 years. I love read anything new on Internet Marketing. I am not a professional writer but after going through many hubs I decided to start writing about my interest. I love to write on Internet Marketing, Google Adsense, PPC, Stock Market Tips, Travel, Food and Cooking. Right now I am working in Utsav Fashion as Online Marketing Executive. I think I will learn many new things from all hubbers on different topics.